Every winter, when you get blasted with blistering, freezing winds, you may start fantasizing about a beach getaway. If you are already thinking to yourself, "I wish I was sitting on a Caribbean beach with my toes tucked in the soft sand" -- well, you are not alone. And even if you have a tight budget, all is not lost. Traveling to the Caribbean need not cost an arm and a leg. You just need to pick the right place with the right price. 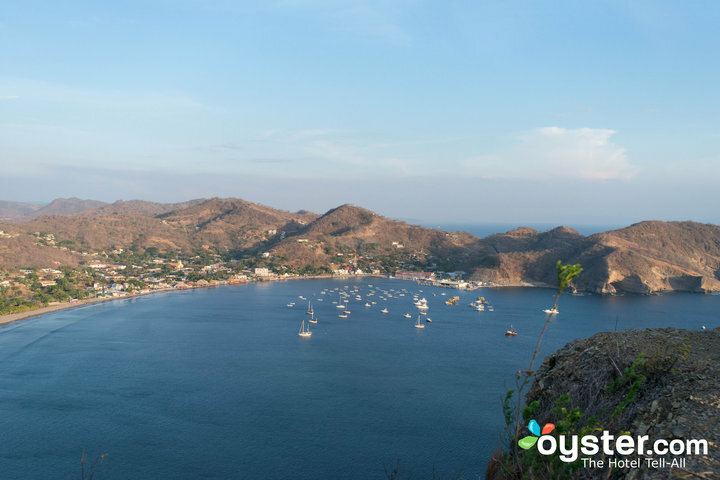 While some islands are known for relaxing, pristine beaches, other destinations are home to a mountainous landscape, lush rainforests, and adventurous activities like zip-lining and hiking. To predict which would be the most affordable this year, we took a look at Oyster-specific data from last winter (December through March 2016) to determine the average hotel price per night in various Caribbean destinations. Then we uncovered the cheapest flights from New York City for any week in January 2017 to get a directional idea of flight cost. The result? A definitive ranking of the 11 cheapest Caribbean destinations for winter 2017. Go on and find your slice of paradise. 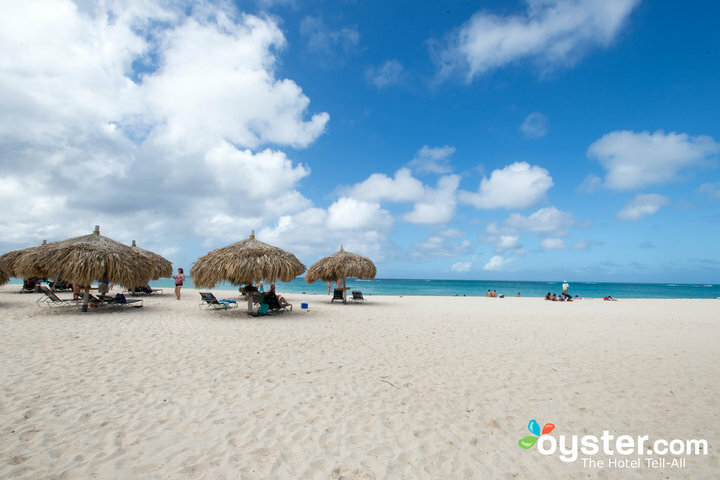 Flights to Aruba start at $341, January 28 to February 3. And make sure to take a look at our list of the best value hotels in Aruba. A beautiful natural landscape, warm weather and even warmer locals, rich history, convenient flights, and wallet-friendly prices are just a few of the reasons to escape to the Dominican Republic this winter. The country is home to a large selection of all-inclusive resorts, especially in places like Punta Cana and Puerto Plata, so value-oriented visitors can save by booking hotels where everything (food, liquor, activities) is included. 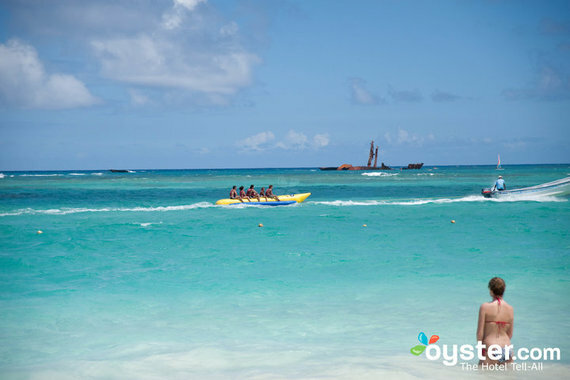 Punta Cana also offers affordable zip-lining, windsurfing, kayaking, and golfing. Average hotel stays are approximately $405 per night. Plus, with eight international airports on the island, this destination is not only inexpensive, but also easy to reach. Flights to Punta Cana start at $397, January 14-20. And make sure to take a look at our list of the best value hotels in the Dominican Republic. Don't let Belize's relatively small size fool you. The country, which shares a border with Mexico and Guatemala, makes for an action-packed vacation spot with plenty to do and see. 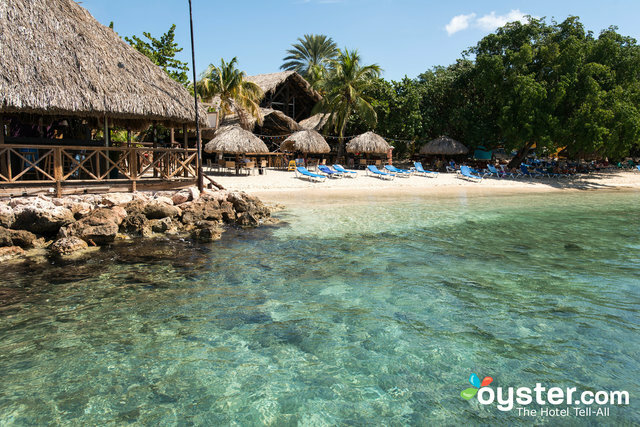 Lush rainforests, Mayan ruins, and clear and warm waters with some of the best snorkeling and scuba diving in the world are only the beginning. The cuisine, which stars fresh seafood like grouper and conch, is sprinkled with Mayan, Caribbean, and African influences. The majority of tourists head to the Northern Cayes and Atolls. Ambergris Caye, the largest and most popular caye, has the highest concentration of hotels with options for every price point (average winter stays on Oyster cost around $399 per night). For electric nightlife, head to San Pedro on Ambergris Caye, which is home to several oceanfront bars and hopping nightclubs. Flights to Belize start at $384, January 7-14. And make sure to take a look at our list of the best value hotels in Belize. Cuba is made for the traveler who prioritizes more than just the beach -- although it's home to plenty of those, too. Now that travel restrictions to Cuba have loosened, U.S. citizens are finally able to experience all this Caribbean country has to offer. 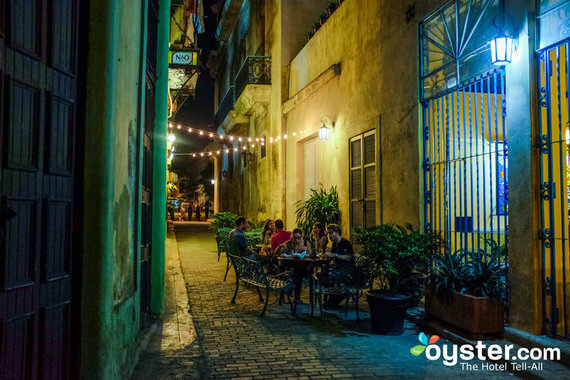 That includes Havana's vintage cars, beautiful colonial architecture, a vibrant art and music scene, charming cobblestone streets, and historic attractions like Morro Castle and La Cabana fort, where there's a nightly canon ceremony. On average, hotel stays are around $387 per night. Plus, the recent news that Americans can buy an unlimited number of cigars and rum around the world, including in Cuba, and bring it home is another reason to book a trip to the country -- as if you needed any more. Flights to Cuba start at $385, January 1-9. And make sure to take a look at our list of the best value hotels in Havana. 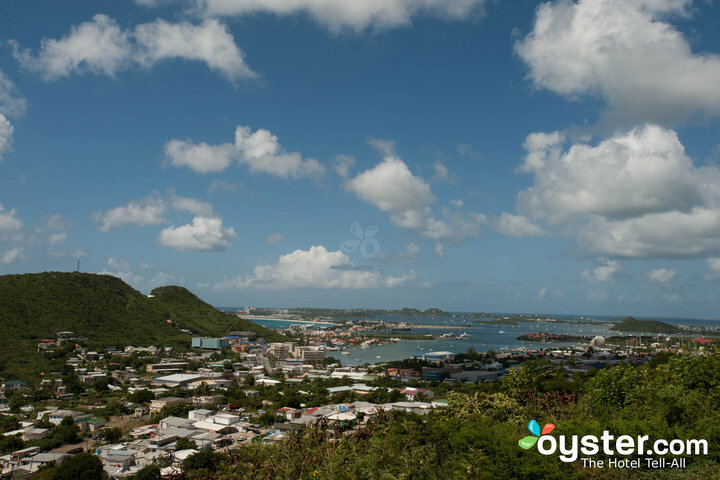 Split between the French and Dutch, St. Martin and Sint Maarten have distinctly different governments, languages, cuisine, currencies, and overall vibes. In other words, you'll know when you've crossed the border -- even though there isn't a strict one. But even with their differences, the two find common ground -- both sides boast excellent beaches with crystal clear waters. When booking a vacation on a budget, opt for staying on the Dutch side. Not only do more flights frequent this area, but it's also cheaper. Here, visitors will find large, all-inclusive resorts packed with entertainment, as opposed the more secluded, intimate accommodations on the French side. Bonus: Sint Maarten's capital of Philipsburg has great shopping and lively nightlife. Flights to Sint Maarten start at $345, January 23-31. And make sure to take a look at our list of the best value hotels in St. Martin/Sint Maarten. Flights to Trinidad and Tobago start at $400, January 22-29. And take a look at our list of the best value hotels in Tobago. An archipelago of islands, Guadeloupe (also known as the "Butterfly Island") is endowed with physical beauty that ranges from beautiful beaches to looming volcanoes. To the east, you have Grande-Terre, which is known for its silky white sand, teal waters, and sports like snorkeling and diving. To the west lies Basse-Terre, which is home to Guadeloupe National Park and the active La Soufriere volcano. The exotic locale, which blends French and Caribbean culture, also comes with many bang-for-your-buck hotels (average nightly prices cost around $380). 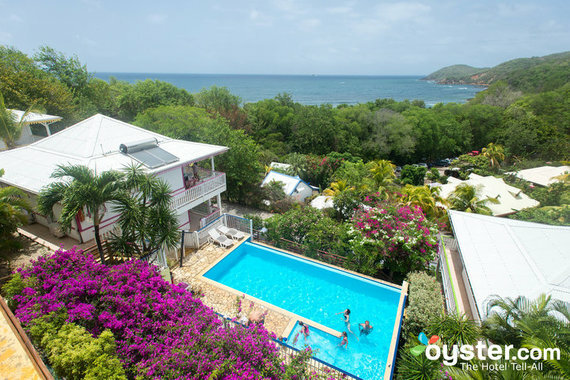 Try Caraib'Bay Hotel, which is a 10-minute walk from the Grand Anse beach and dotted with tropical fruit trees. Flights to Guadeloupe start at $218, January 29 to February 5. Also check out our list of the best value hotels in Guadeloupe. Relatively undiscovered compared to its southern neighbor Costa Rica, Nicaragua features many of the same features, including lush rainforests, white-sand beaches, volcanoes, and rich wildlife. A hit among backpackers and other adventurous travelers, the Caribbean country also comes with plenty of Spanish Colonial history, with churches and plazas in Granada and Leon. Expect an authentic experience when visiting -- on any given day, visitors are likely to stumble across locals riding horses and carts through the streets, fruit stands selling mangoes and "jocotes" (a popular tart snack among residents), and lively street festivals. Did we mention that nearly everything, including food, transportation and hotels (average stays are $356 per night), tend to also be cheaper than they are in Costa Rica? Flights to Nicaragua start at $417, January 12 to 18. 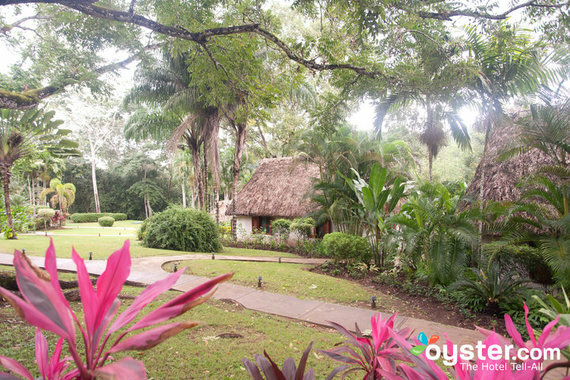 Also check out our list of the best value hotels in Nicaragua. Come for the relatively inexpensive hotel rates (average winter prices on Oyster are $318 per night, and many great options are much cheaper); stay for the near-perfect weather. Situated off the north coast of Venezuela, this Dutch Caribbean island is somewhat of a hidden gem, lacking that overrun touristy feel of other Caribbean destinations. But it does boast a big airport, which means more frequent and less-expensive flights. The postcard-perfect beaches make it a popular spot for scuba divers, while the capital, Willemstad, features photogenic colonial architecture, the floating Queen Emma Bridge, and other cultural attractions. Flights to Curacao start at $272, January 22-30. Also check out our list of the best value hotels in Curacao. In Puerto Rico, huge malls, golf courses, and casinos share the skyline with tropical rainforests, beautiful white-sand beaches, colorful colonial buildings, and well-preserved 15th-century Spanish forts. That means no matter what you fancy -- a quiet retreat or a party destination -- you'll find it on this Caribbean island. Plus, since it's an unincorporated U.S. territory, U.S. visitors need not worry about the hassles that come along with international travel. 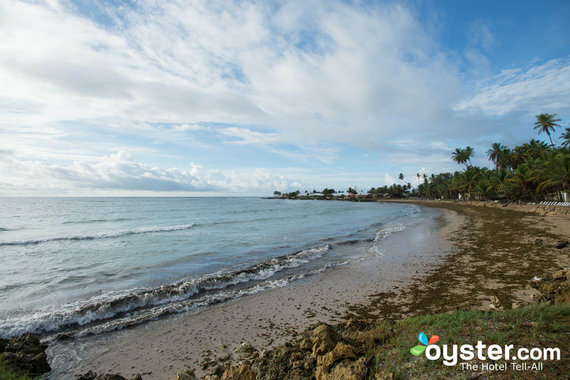 And while all-inclusive resorts are scarce, inexpensive hotels aren't tough to come by (average winter stays on Oyster are around $315 per night). Flights to San Juan start at $190, January 28 to February 3. Also check out our list of the best value hotels in Puerto Rico. If you're the type of traveler who likes to relax on a beach one day, then do something adventurous like hike in the rainforest the next, consider Martinique, a Caribbean island that's part of the Lesser Antilles. While there, don't miss Mont Pelée, a semi-active volcano that towers over the town of Saint-Pierre. The French-speaking island's diversity extends beyond its landscapes, and it's also home to a slew of land and sea activities. The local dining scene, which is packed with Creole and Caribbean flavors, live music, and stylish French fashion all make this year-round tropical destination worth a visit. Head to Fort-de-France, the capital city, for the stores, restaurants, clubs, and other attractions. But even with these features, Martinique remains a little off the beaten (tourist) path, which means fewer crowds. And while it has its fair share of luxury resorts and villas, the island also comes with plenty of budget-friendly options (average hotel rates hover around $227 per night). Even better news? 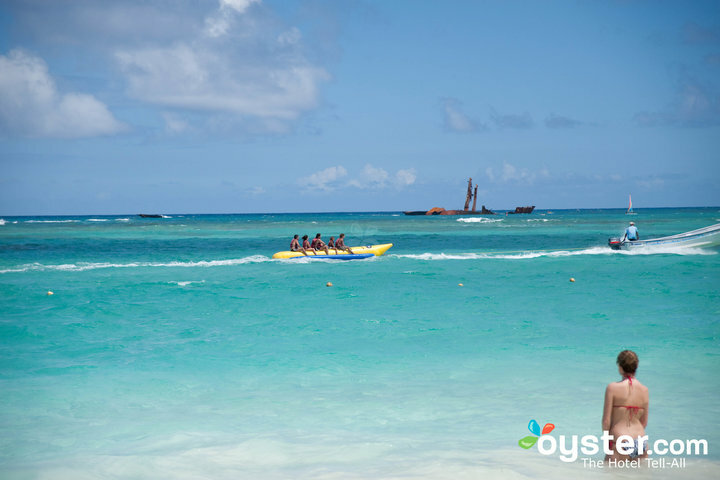 It's considered to be one of the safest destinations in the Caribbean. Flights to Fort-de-France start at $228, January 19-26. Also check out our list of the best value hotels in Martinique.